Groundwerk/eOne CEO Marcus Siskind and Chris Taylor, eOne’s Global President of Music, give up their seats to Stereotypes members, from left, Ray "RaCharm" McCullough II, Jonathan Yip, Jeremy "Jerm Beats" Reeves, and Ray Romulus, plus manager Larry Wade. 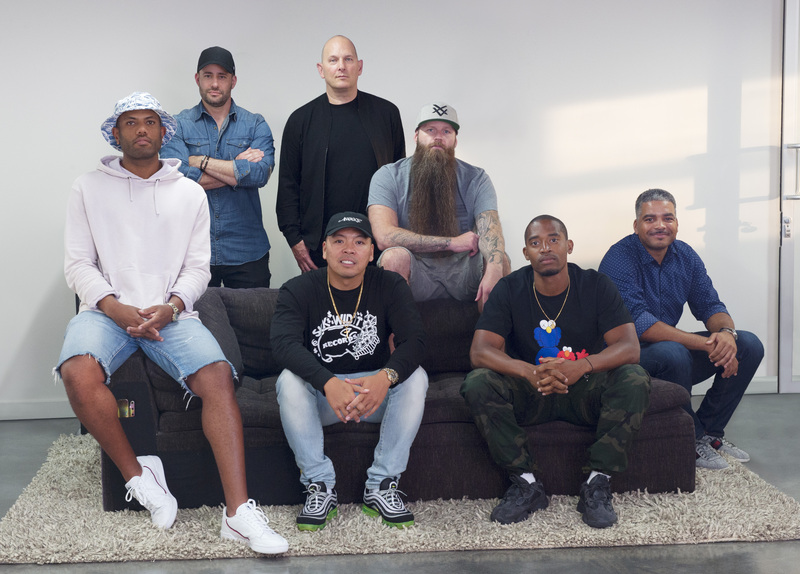 The Stereotypes have signed an exclusive joint venture music publishing agreement with eOne through their recently launched imprint, Beach Wave Publishing. The group of Jonathan Yip, Ray Romulus, Jeremy Reeves and Ray Charles McCullough II is best known for their work on Bruno Mars’ 24K Magic. In addition, eOne music has signed a worldwide publishing agreement with McCullough, aka RaCharm, as part of the pact. Chris Taylor, Global President, Music, Entertainment One, announced the deals. eOne and The Stereotypes will work together to discover and develop new talent. Marcus Siskind will work day-to-day on eOne's behalf with Beach Wave Publishing to maximize partnerships. Meanwhile, Amy Collins, formerly of Warner/Chappell, has joined Beach Wave as A&R Director. Prior to her stint at W/C, Amy served in the A&R department at Def Jam. “The environment that Chris is starting to build is inspiring for producers like us that are interested in all aspects of entertainment whether it is music, film, TV or other forms of entertainment,” The Stereotypes said in a joint statement.